Join Gary Gruver, Ted Youel and Plutora as they discuss Ted’s 2+ year journey applying the principles from Gary’s “Leading the Transformation” and “Starting and Scaling DevOps in the Enterprise” books with his team at Optum Technologies. Ted will review the systematic steps he took to taking waste and inefficiencies out of their deployment pipeline and the tangible business results they were able to achieve. 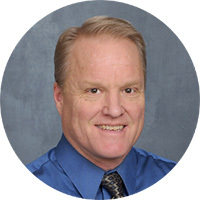 Ted is a Senior Principal Engineer within the Medicare and Retirement Portals team at Optum. Ted has 30 years’ experience in software development and is known for bringing value through initiating innovation, and streamlining complex ideas and tasks. Ted has 3 US Patents in collaboration and communication. 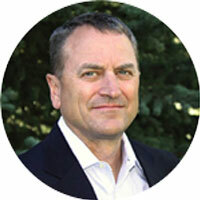 Ted has worked for 3 Technology companies: Nortel Networks, Avaya, and Optum. He has a Bachelor's degree in Computer Science from Mankato State University and an MBA from the University of St Thomas. 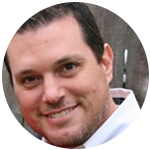 Gary is an experienced executive with a proven track record of transforming software development processes and working with executives in large organizations and is the co-author of A Practical Approach to Large-Scale Agile Development. As VP of QE, Release, and Operations at Macys.com he led their transition to continuous delivery. Jeff has spent his career writing code, designing software features & UI, running dev & test teams, consulting, and evangelizing product messaging. Outside of 6 years at Microsoft, he has been primarily focused on growing startup companies. Plutora, the market leader of value stream management solutions for enterprise IT, improves the speed and quality of software creation by capturing, visualizing and analyzing critical indicators of every aspect of the delivery process. Plutora orchestrates release pipelines across a diverse ecosystem of development methodologies, manages hybrid test environments, correlates data from existing toolchains, and incorporates test metrics gathered at every step. The Plutora Platform ensures organizational alignment of software development with business strategy and provides visibility, analytics and a system of insights into the entire value stream, guiding continuous improvement through the measured outcomes of each effort.